A Splendid Messy Life: OMG MARCH! Finally. Bye bye February. BUH BYE. I'd like to say it was nice while it lasted, but it wasn't. Toronto had the coldest February ever on record, so yeah...that sucked. I was sick not once, but twice and had to cancel not one, but two outings with friends (including pre-purchased VIP tickets to see 50 Shades of Grey) as well as two date nights. Valentine's Day consisted of me laying in bed and Rob bringing me soup while I worked my way through a box of Kleenex. That's kind of romantic I guess....And then there was the story of Elijah Marsh; a Toronto toddler who died after wandering out of his apartment in the middle of the night during the extreme cold. So yeah February, see ya on the other side. Links to distract us until it gets warmer! Roald Dahl's Powerful Pro-Vaccination Letter that he wrote after his own daughter died of measles. Seriously moving stuff. 15 Things All Badass, Fearless Alpha-Women do Differently from Other Types of Women. This post is inspired by the Laurel Thatcher Ulrich quote, "Well-behaved women rarely make history." My cousin recently shared it with me and a number of our girlfriends. Such an engaging read. I'm working on number 7. 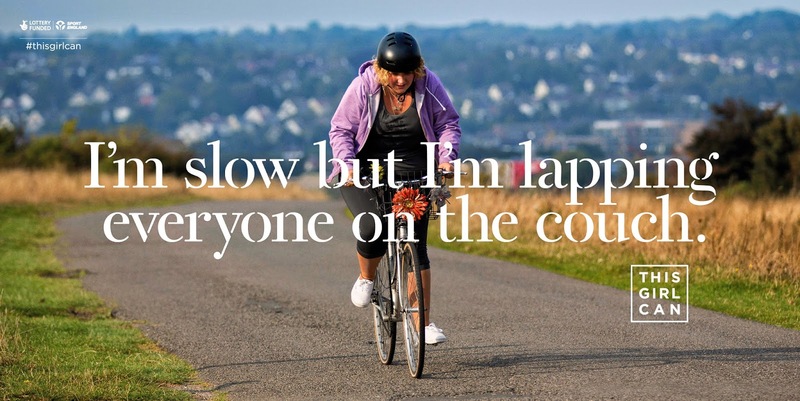 "This Girl Can celebrates the women who are doing their thing no matter how they do it, how they look or even how sweaty they get." Best message ever. Watch their inspiring video here. Adrienne Moore (Black Cindy from Orange is the New Black) made a short film about working moms. It's about 5 minutes long and quite funny. Watch it here. I haven't tried it out yet, but the website Cooking with Toddlers has me intrigued. I can't wait to pick out something to make with Seb. I'll probably post more about this when we try it out to let you know how it works! Mamma Don't You Worry. I was sent this e-book for review, and I really loved the lesson in this story. Written as a poem, it's about a 6 year old boy who thinks his mom worries too much about keeping track of him when they're outside or in a store, etc. Then the little boy learns just why it is so important to still stay near mama. You can buy the book on Amazon for just $1.29. Magnetic alphabet upgrade. I saw this idea from @dressupfiles on Instagram. 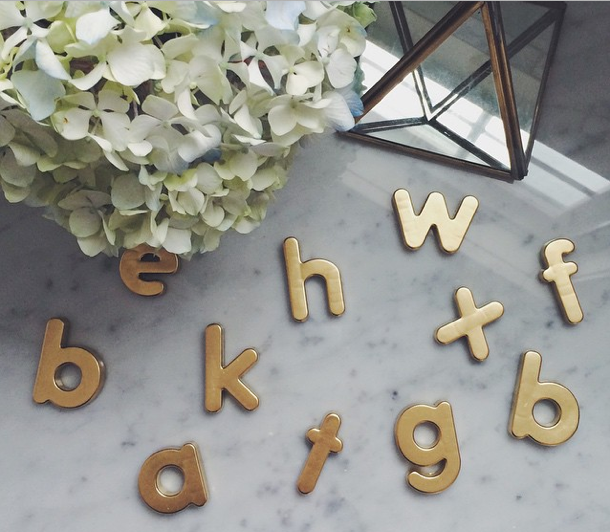 She spray painted the magnetic alphabet letters gold for a classy upgrade. I love this idea so hard. Fridge magnets are not my thing because I think they always look so messy and unorganized (#imanerd), but these...these are magnets I can get behind. I have a work deadline for a project tomorrow, so our weekend hasn't been too exciting. The new season of House of Cards is on Netflix, so we did a bit of that. We also had Rob's mom for a visit, and I will squeeze in a run (followed by a caramel macchiato, of course). I vow to make March more exciting. I always get to this point in the year and regret not booking something sunny, warm, and wonderful for March Break, but I make up for it by planning extra girls' nights, playdates, and date nights.